Our organic aromatic plants are grown with dedication and love by organic cultivation methods to guarantee a quality product. We are always up to date on the latest innovations in the organic world, taking part at the industry's most important events and shows. A section entirely dedicated to mass retail buyers containing full information on packaging and packing. Our products are organic and certified by the most important European bodies. We provide a customized product to each customer, packing the seedlings with the bag and the cardboard with a specific logo as well as the quantity and assortment required. We can make an order within one hour of receiving it at the departure of our means of transport. Thanks to an efficient and timely logistics organization we are able to guarantee the highest standards in terms of freshness and quality of food. Each plant has its own batch number of production, stamped both on single packaging and on cardboard during transport and on all documents relating to production and sale. 03 December 2018 ORGANIC CHRISTMAS WITH THE STARS, COURTESY OF SIMONATO This historic company from Due Carrare specialises in the production of organic aromatic plants. This year, the company has grown approximately 80,000 Christmas Stars for its domestic and European markets. With one unique selling point however: all the plants are certified organic for a sustainable and environmentally responsible Christmas. The shift from conventional production to certified organic was a courageous step for the company now in its third generation of operations in the floriculture and nursery sector. "We have cultivated the Christmas Stars with great care and in full respect of organic protocols - says Carlo Simonato, owner of the company - and this year, thanks to our greenhouses and favourable climatic conditions, the crop is extraordinarily beautiful". "Our Christmas Stars will be the symbol of our first Organic Christmas, - continues Rosanna Bertoldin, marketing manager of the company - and we are delighted that there will finally be a plant cultivated with great love and attention and completely chemical-free on our tables this Christmas. Recognising the organic Christmas Stars couldn't be easier, the labels will be marked with the European certified organic flag and the name of the certification agency, ICEA". The company, which was started by the grandparents, handed down to the parents Luciana Fincato and Umberto Simonato and is today lead by the sons Carlo, Gianni and Paolo and brother-in-law Valandro Luciano, will soon be celebrating 20 years of organic production. It cultivates a wide variety of aromatic herbs such as sage, rosemary, basil, coriander, watercress and chili peppers - auspicious for the new year. The aromatics are then sold not only in Italy, but also in a number of European countries such as Germany, Austria, Poland, France, Croatia, the Czech Republic and the Netherlands, where there is a growing demand for organic products. Simonato is a completely organic company. The crops adhere to all the criteria laid down for organic production, centring on the interplay between best environmental practices, a high level of biodiversity and preservation of natural resources. The 40,000 square metres of greenhouses are equipped with an underfloor and an aerothermal heating system which comply with the more stringent environmental standards, and a complex ebb/flow irrigation system in order to optimise the use of water as a precious and exhaustible commodity. Lastly, the big news in the area of eco-sustainability and respect for the environment is the new line of completely biodegradable and recyclable packaging. The Bio Kepos 3 line consists of a vegetable fibre pot, a completely industrially biodegradable bag and an information sheet made out of certified food grade paper. 19 November 2018 THINK GREEN BIO The 5th and the 12th of November saw Rovigo play host to the Think Green Bio course promoted by the Intesa SanPaolo Formazione Group. The event was attended by numerous participants, including Ms. Belinda Piasentin and Ms. Giada Favaro of the Due Carrare company Simonato, which will be celebrating 20 years of organic certification in just a few months' time. The challenging course focused on the importance of the organic sector, the current trends and the potentials for the future. In recent years, in fact, consumer attention on organic food has grown significantly, so much so that new consumer behaviours have emerged centred around developing new lifestyles. The increase in demand comes from informed customers who are well versed in the subject matter and the European regulations, which bring all the member states under the same legislature and impose the obligation of adhering to increasingly higher quality standards on businesses of all sizes. 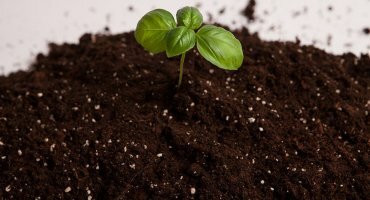 These companies represent the excellence of Italy and Europe and, although while often small in size, they are the true driving force of agriculture through their efforts not only in creating solid opportunities for the future, but also in protecting the environment and biodiversity. These two days of training were extremely important because only with the support of the institutions and with the exchange of information can we create a more organic future for everyone. 01 November 2018 TEAM FOR CHILDREN The company Simonato from Due Carrare, specialising in the cultivation of certified organic aromatic plants, has, for the second year running, taken up the cause to raise awareness among its customers and to raise funds for the non-profit association Team for Children run by Chiara Girello Azzena. The association has been collaborating with Padua's Pediatric Hematology and Oncology clinic for more than ten years to support child cancer sufferers and their families. One of its main focuses has been the creation of a Teen Zone for adolescent cancer patients with the construction of a new pavilion. The site will be dedicated to young people for them to get together and benefit from shared leisure activities and create new friendships, while also offering the possibility of learning new techniques and topics for an exploration into the future world of work. Simonato is throwing the full weight of its support behind this project but is relying on each and every one of you, as it is only through your contributions that great projects such as this can come to fruition. 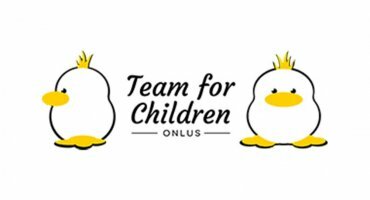 Team for Children and Simonato - together for a smile, with a “5x1000 contribution” (Italian gift aid scheme) you can rediscover life for a sick child. 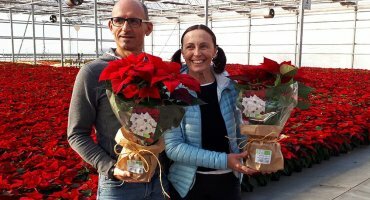 15 October 2018 ORGANIC CHRISTMAS STARS The company Simonato from Due Carrare, specialising in the horticulture, floriculture and nursery sector for three generations, has introduced a wonderful novelty this year: certified organic Christmas Stars. 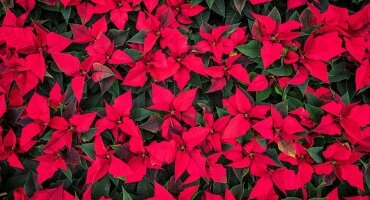 The Christmas Star (or Poinsettia) begins to take its place in the spaces set aside for the cultivation of aromatic plants from mid-August and continues to grow at a slow pace. It is only with the shortened days during the autumn period, in fact, that we begin to see the typical red colouration of the leaves around the yellow flower. "We have cultivated the Christmas Stars with great care," says Carlo Simonato, owner of the company, and this year, thanks to our greenhouses and favourable climatic conditions, the 2018 crop is extraordinarily beautiful. The most important thing and the one which Carlo Simonato is most proud of, is that they are grown using organic methods and also in full respect of the organic protocol. Our Christmas Stars will be the symbol of our first organic Christmas. We are very happy that there will finally be a plant cultivated with great love and attention and without the use of any chemicals or pesticides on your Christmas-decorated tables at home. Distinguishing the organic Poinsettias is made easy by the fact that they are packaged with a label bearing the name of the ICEA certification authority and the European organic flag. A Merry Organic-Christmas to One and All! 01 October 2018 BIOKEPOS3 - Mater Natura Gratias Agit The Company Simonato is pleased to present its organic certification aromatic plants with a completely new and innovative look: BioKepos3, the eco-friendly packaging. 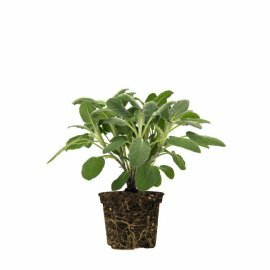 The plants are kept in a pot made out of natural vegetable fibres which, when the plant has been used, can be transferred directly into a larger container or into the soil in the garden or placed into the compost bin. The transparent bag is also certified vegetable fibre, and after use, should be thrown in the organic waste bin for composting. The information sheet printed with certified colours on food-quality paper can be placed in the paper recycling container after use. We have put a big effort into this new project, says Rosanna Bertoldin, sales manager of the company Simonato, and we have chosen the manufacturers of the components of our new product with great care. On each individual package we also report each of the certificates since we believe that it is important to assure our customers of a product of excellence that meets all the organic, environmentally friendly and recyclable requirements. Find Out More! 01 September 2018 Fruchthandel: Simonato presents BioKepos3 "For a more Organic future". 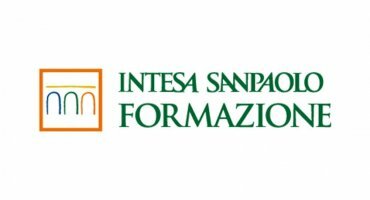 This is the motto which inspired the producer of organic aromatic plants owned by the Simonato Brothers from Due Carrare in the province of Padua to introduce a line of innovative packaging that responds to the needs for greater sustainability. In 2000, Simonato started its own certified organic production and asserted itself in the domestic market and, in recent times, even in international markets with its range of organic aromatic plants such as basil, sage, rosemary and mint, in addition to special aromatic varieties such as hot chili peppers, chervil, chamomile and liquorice. The aromatic plants are grown inside greenhouses in accordance with the strict guidelines of the Organic Regulation. "Our products are healthy, natural and certified organic and we have chosen to market them in a pot with soil which gives them life and nourishment" says Rosanna Bertoldin, sales manager of the company. "We believe that it is important to offer our products to customers in plant form, as they are real plants which sustain and feed us. They are not twigs cut ready to store in the refrigerator, but plants that need light and water in our homes. And for even greater sustainability and in order to give continuity to our plants, we now offer a new line of packaging called BioKepos3. "Kepos derives from the Greek word for garden, the number 3 on the other hand represents the strengths of our new package" explains Carlo Simonato, owner of the company. The new line of packaging comprises a pot made out of biodegradable vegetable fibres, a compostable bag and a sheet of recyclable food-quality paper. This new line only uses certified products of excellence since it is only with innovative, environmentally friendly and sustainable choices that we can build a more organic future together. 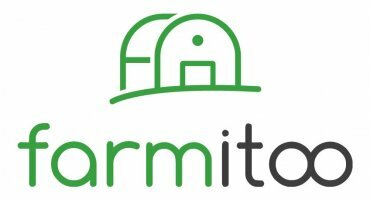 21 August 2018 Farmitoo: interview with the Company Simonato! The interview on Farmitoo.com dedicated to Simonato's organic world was published just a couple of days ago! Farmitoo is the news magazine for the agricultural industry. It is an online magazine based upon the community and on sharing information on agricultural equipment, presenting new technologies and publishing interviews with farmers. The magazine has contacted Carlo Simonato and Rosanna Bertoldin who describe the origins of their company's activity, firstly with their grandparents and then with their parents, and the major decision twenty years ago only to farm organically and to dedicate the entire space of about 40,000 metres of modern greenhouses to the cultivation and sale of certified organic aromatic plants. 02 August 2018 Organic? It's good for you On 21 July 2018 a contribution appeared on D di Repubblica from the Senator for life Elena Cattaneo entitled: "Organic? It's good for you. But only if you produce it". At Simonato, based in Due Carrare in the province of Padua, although acknowledging Cattaneo's opinion, we feel obliged to focus some attention on the key points of the paper (overlooking many others worthy of the same attention), namely the use of plant protection products. Here, we will provide our point of view, leaving it up to the reader to form an informed and well-balanced opinion. Firstly, we note that an Organic Company must strictly respect European Regulation no. 884 of 2008 and is subject to strict periodic controls by an external Certifier, independent from the producer company so as to avoid any conflict of interest and to protect consumers. If these controls identify the presence of residues of plant protection products not permitted in the organic protocol, the Company loses its certification and may not supply the product to the distribution chains. This is a huge guarantee for the health of consumers, both children and adults. With regard, then, to the type of plant protection products permitted in organic farming, we remind Senator Cattaneo that the "weapons" that can be used by a producer to defend against fungi and parasites are limited to a few active ingredients, derived from plants (such as Neem Oil and Pyrethrins) or that leave absolutely no residues in the food eaten by consumers. Incidentally, it beggars belief that Cattaneo focuses on the use of Copper, allowed in the organic protocol, perhaps ignoring the fact that its use is regulated by a strict rule (4 kg. per hectare per year) and that this metal, used since ancient times, absolutely does not represent a problem for end consumers given that producers cannot distribute it close to the sale, it can be removed by simple washing and any anomalies of use are identified by the external Certifier during routine checks. On the other hand, what happens and what are the consequences for consumers and for the environment in "conventional" cultivations not subject to the rigidity of Organic Regulation? On this essential point, the Senator, surprisingly, remains silent. A "conventional" producer is only obliged to respect the pre-harvest intervals (i.e. the days before sale) indicated on the plant protection product packaging: it is unfortunately well-known that external controls on the presence of residues are scarce due to a lack of resources within Public Bodies. A "conventional" producer, can, as a result, distribute what it sees fit, in the quantities that it deems appropriate, perhaps choosing from the cheapest products, which often leave persistent residues over time. The result of this indiscriminate use of plant protection products is the distribution on foodstuffs that reach Italian tables, and into the waters that are released into the environment, of about 136,000 tonnes per annum of pesticide molecules. The consequences were closely monitored by ISPRA (Italian Institute for Environmental Protection and Research) between 2015 and 2016 by taking 35,000 surface and deep water samples. The results revealed the presence of a good 259 extraneous molecules. Surface waters are polluted in Veneto in 90% of cases, in Lombardy in 70% and in Emilia Romagna in 80%. Merely by way of example, atrazine, a dangerous herbicide banned for 26 years, is still present in our waters. Rigorous scientific studies have demonstrated the presence in children's blood of pesticide residues and their contemporary accumulation in the nervous system and glands of the endocrine system. If examined, even those among us born between the 1930s and 1960s would find in our bones residues of the notorious DDT, as found at one time in the fat of polar bears. Do we want to continue on this path, Senator Cattaneo? At Simonato we say no, supported by the certainty of creating a better world towards which we are working every day together with at least another 70,000 Italian producers and consumers (increasing every year in double digit percentages) who, like us, demand a healthy and safe world for everybody. 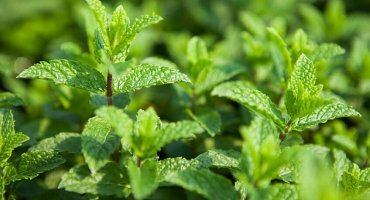 18 July 2018 Organic mint: aromatic plant of the month Mint is an aromatic plant belonging to the family of Lamiaceae and Labiatae originating from Europe and then disseminated widely across the world, including North America, Australia and Japan. Cultivated since ancient times for its many properties, remains of mint leaves were found in Egyptian tombs dating back to the year 1000 AC. The Romans, during their expansion, disseminated it throughout Europe and from Great Britain, with the settlers, it arrived in today's United States of America. The naturalist writer Pliny the Elder in his Naturalis Historia published in 77 describes its numerous medicinal, refreshing and invigorating properties. King Charlemagne, who was an aromatic herb enthusiast, gave orders for it to be cultivated regularly throughout the Empire. An alcohol known as menthol can be extracted from mint, which is used by the industry in addition to soaps, toothpastes and syrup solutions. Mint's most widespread and frequent use is in cooking as the leaves of organic mint can be used to prepare wonderful refreshing drinks, such as water and mint, milk and mint, or well-known alcoholic drinks. When added to simple dishes, such as fresh salads, it gives a unique and tasty flavour. Small leaves added to white rice limit the use of salt and seasoning and the aftertaste is reminiscent of Mediterranean flavours. Its persistent and particular flavour makes it ideal for creating cakes and soft desserts. The Company Simonato offers organic mint plants throughout the whole year, cultivating the varieties that are most suited to the type of season. 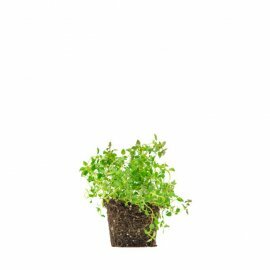 Mint is cultivated by the cutting method and therefore, small branches are cut from the mother plants which are sown into organic soil, giving life to a new plant. Simonato cultivates in respect of organic regulations and its certifications guarantee a healthy and natural product. This year it offers an eye-catching bag with the image of a famous cocktail which we offer in the version with just water, mint and lime! 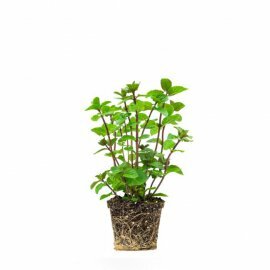 If you have an organic plant on your terrace or in the kitchen, you can find out how to keep your organic mint plants healthy on our website. Our accurate cultivation techniques and controls at all stages of production, from sowing to packaging, ensure a product with constant quality characteristics. The word comes from Greek kapto which means spicy, and annuum , all-year around. The Anglo-Saxon chilly most likely derives from the word "Chile", one of the country in South America where the plants originates. The Spaniards were the first to bring it to Europe, where the herb perfectly adapted to the Mediterranean climate. 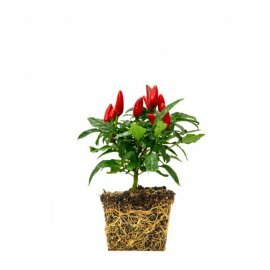 Chilly Pepper offers a dazzling combination of colors: from bright yellow, to intense red and vivid green. Now, the plant is widely cultivated and is used both as a condiment and as a food preserving ingredient. Its name derives from Latin lavare which means "to wash". The Greeks and the Romans used it as a fragrance in soaps. Later, lavander was brought to Britain where monks started cultivating it in their monastic gardens for medicinal purposes only. 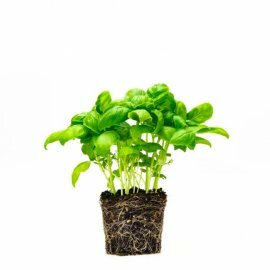 The name basil comes from Latin basilicum and from Greek basilikon , meaning royal. Ocimum is the Latin word for fragrance. Its common name is believed to be an abbreviation of Basilikon phuton, Greek for "kingly herb". In the Greek mithology, the god of the underworld, Hades fell in love with the nymph Minthe, daughter of a god of the rivers. His queen Sephony became jealous and turned her in the plant of mint. Greeks and Romans also used this plant as an aromatic detergent and a tonic agent for the skin. Different varieties of mint are nowadays still used in many countries to symbolize friendship and love. The Greeks and the Romans knew about origan, but it's still unclear exactly which species they used. 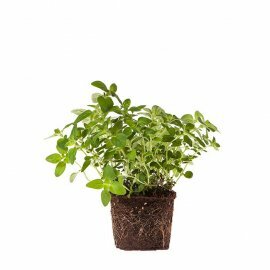 Perhaps, it was Origanum Vulgare which grows wild in the greek mountains. The name means "Joy of the mountain" from the greek oros which means "mountain" and ganos meaning "joy". 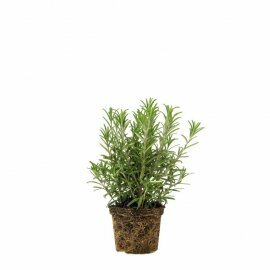 Meditterranean peoples knew about rosemary plants, whose name might originate from Latin ros (dew) and marinus (sea) and Greek rops (shrub) and myrinos (aromatic). Both sources describe the plant's habitat and appearance. The name Salvia is derived from Latin salveo which means "toheal", thanks to its beneficial properties. Among the ancient Arabians, sage was associated with immorality and logevity and Romans considered it a sacred herb to be used in ceremonies. It was so prized for tea that Chinese were willing to trade their own fine green tea for it in a ratio of 4 to 1. This herb's name has been traced to a couple of possible sources, one impressive and one quite homely. Thymos was Greek for "courage" as might be considered appropriated for a herb that is invigorating to the senses. But the name also derives from the Greek term "to fumigate" for the herb was burned to chase insects from the house. The company Fratelli Simonato has a multi-year experience in the field of vegetable gardening and for three generations the Simonato family dedicates itself with constancy and love for nature to the cultivation of high quality organic aromatic plants. In 1999, we chose to convert our entire production of certified organic aromatic plants. A courageous choice dictated by both our customers' need for a healthy and natural product and by our constant commitment to the implementation of ecologically compatible agriculture in the respect of natural processes. 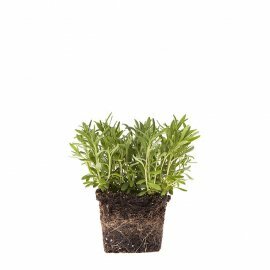 Simonato’s bio aromatic plants production includes: potted bio mint, basil, dill, red basil, camomile, chervil, coriander, watercress, tarragon,chives, lavender, licorice, marjoram, lemon balm, oregano, chili pepper, parsley, sage, thyme, rosemary.